Michelle Durpetti's Kenya won the Circuit Championship in the Performance Hunters 3'3" with Caitlyn Shiels aboard. Hampshire, IL - April 15, 2014 - While fellow Chicagoans braved the Polar Vortex with below zero temperatures and limited riding time, Canterbury Farm of Hampshire, IL got a jump start on the show season during the Hits Ocala Winter Circuit. Greg Franklin and his Canterbury Farm customers spent January though March getting a leg up on the competition by giving some new horse and rider combinations some time in the ring and bringing some back from time off. Michelle Durpetti’s Kenya topped off the season by winning the Circuit Reserve Championship in the 3’3” Performance Hunter Division. 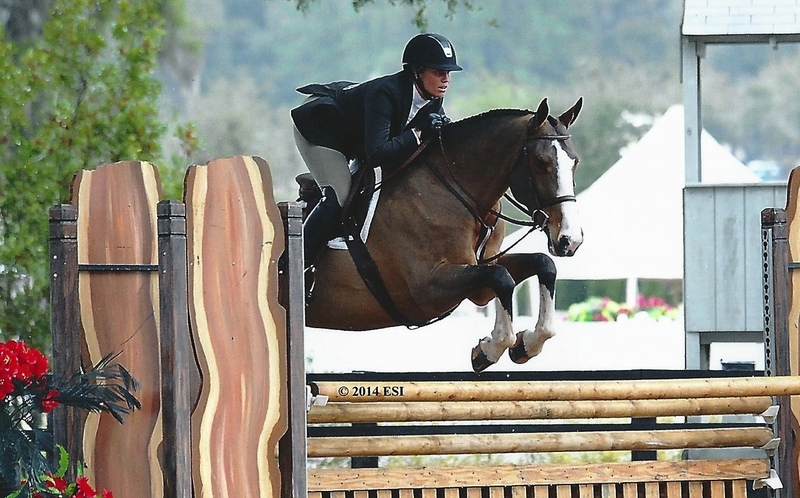 Kenya is no stranger to winning in Ocala after winning two Devoucoux Hunter Prix’s with Patty Stovel in the irons and placing third in another to qualify for the Hits $500,000 Hunter Prix Final last year. This year, with Caitlyn Shiels on board and Otis Brown assisting Franklin, the horse won the 3’3” Performance Hunter Championship week VI, placed third in the $5,000 Hunter Prix, sixth in the $10,000 Hunter Prix, seventh in the $25,000 Hunter Prix and 16th in the $50,000 East Meets West Challenge Hunter Prix. Durpetti of Chicago, also owns Moody Blues, who made a comeback after some time off to win the Reserve Championship in the 3’3” Performance Hunters in week X along with top ribbons and a win in the Low Hunter division with Shiels as the pilot. Durpetti rode Lukay W to the Championship in the 3’3” Modified Amateurs in week X and also was lucky to purchase a new mount, Small Enchantment to ride in the Amateur divisions. “Michelle (Durpetti) has always had a real passion for the hunters,” said Franklin. “I think Small Enchantment will be a great addition because of his wonderful disposition and low key attitude to go along with an incredible jump. We’re really looking forward to their debut in the Amateur Owner Hunters." 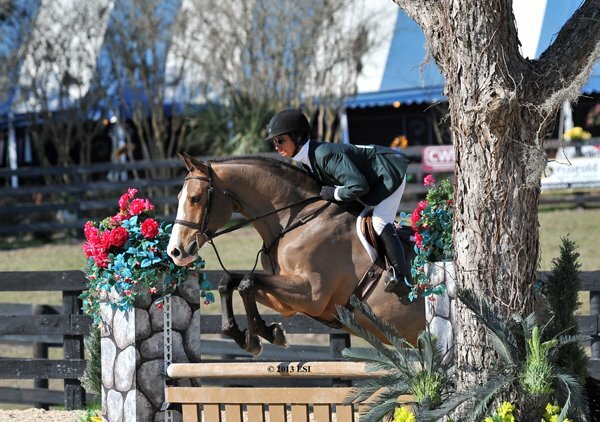 Shiels rode Marcia Franklin’s Cydelle in the Green Conformation division with consistent ribbons including a second in the handy week VI and a 7th place finish in the $10,000 Hunter Prix. Shiels also showed Cavalier II in the 7 & 8 year old jumpers and had the opportunity to get a tune up lesson in with the legendary George H. Morris while in Florida. They were able to ship to Wellington for a day where Morris teaches during the Winter Equestrian Festival. Marcia Franklin's Cydelle with Caitlyn Shiels in the First Year Green Conformation. Photo by ESI. “It is always an honor and a privilege to have some one on one time with a legend in the industry,” said Shiels about her lesson time. 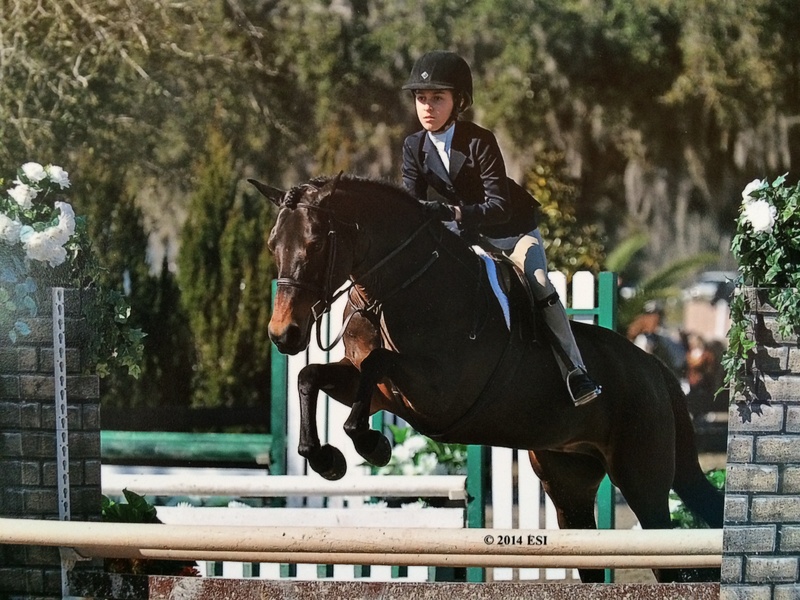 “I really enjoyed the lesson and was able to apply what I learned in the show ring." Kadence Darko and Shiels in the Baby Green Division. Photo by ESI. Getting some new mileage in the ring, Kadence Darko, owned by Greg Franklin and Margo Lyons, made her debut in the baby green division. At only four years old, Lyons and Franklin are looking forward to bringing along this young hunter. Maddie Pogorzelski and Social Graces in the Children's Pony Division. Photo by ESI. Also getting some time with a new ride was Maddie Pogorzelski and Franklin’s pony, Social Graces in the Children’s Pony ring. Terri Wall's Genre R tackled the jumper ring as well with Shiels aboard. The group is warmed up and ready to go for the Patty Stovel Clinic May 24-25, 2014 at Canterbury Farm as part of their 30th Anniversary Celebration. Stovel is an accomplished trainer and rider from Chester Springs, PA, who has competed on both hunters and jumpers successfully with over eight International Hunter Futurity Championships and an American Gold Cup win on her list of accomplishments. A few spots are still available for riders of all levels. Contact Greg Franklin 847-274-1605 or greg@canterburyfarmchicago.com. Auditing is free. 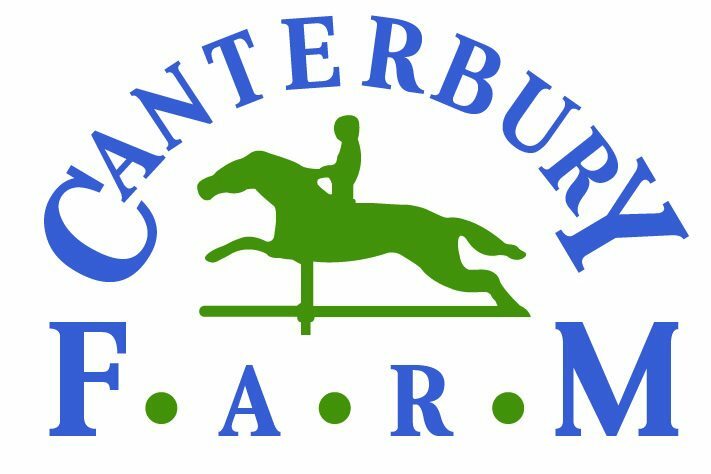 Stay after the clinic on Saturday for the Anniversary Barbecue and celebrate with Canterbury Farm. When: May 24-25, 2014- First session 9:00am. Barbecue after the last session Saturday. About Greg Franklin: For over 30 years, Franklin has ridden hunters and jumpers to numerous championships nationally and has brought home many Zone 5 Horse of the Year awards. Franklin has qualified horses and riders for the Pennsylvania National, Washington International and the National Horse Shows including the Medal and Maclay Finals. He has also shown internationally at Spruce Meadows in the 1.40 and 1.45 divisions and is a certified trainer with USHJA. 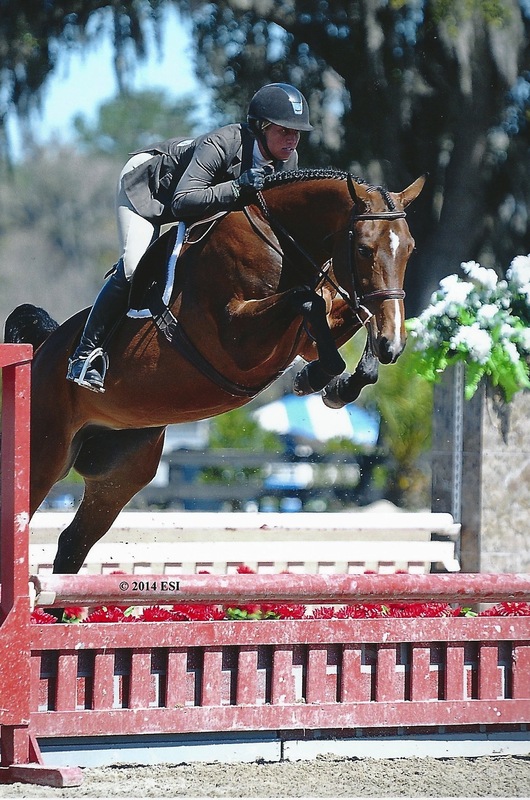 Additionally, Franklin has his ‘R’ in Hunters, Hunter Seat Equitation, and Jumpers and judges throughout the country. About Patty Stovel: Stovel started her career riding with her mother in CT and in her final junior year, was a working student for the legendary George Morris. 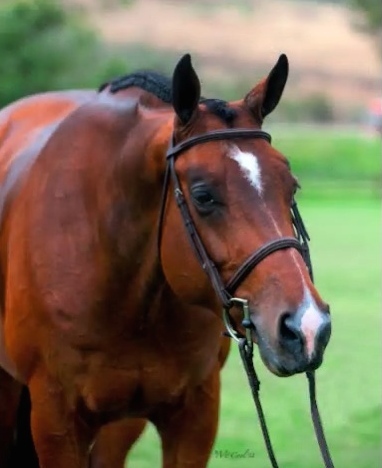 Stovel was second in the AHSA Medal Finals on a 4-year-old horse that she trained. After her junior years, she worked for Brass Lantern Farms and Otis Brown (Brownie) of Nashville, Tn. She and Brownie trained many successful hunters and jumpers including eight Championships in the International Hunter Futurity over the years. After starting her own business, with the help of her husband, Ken, Stovel purchased Mont Cenis, who ended up being the highest placed American (13th) in the1994 World Equestrian Games at The Hague in Holland. Stovel also won the prestigious American Gold Cup in 2005 with Shandor 41 and was the only horse to jump a clear round. Stovel’s specialty is helping students achieve their goals, along with bringing young horses along.